Members of the European Parliament's (MEPs) Agriculture Committee (AGRI) have this week voted in favour of the proposal to apply the EU-Morocco trade agreement to the parts of Western Sahara that are under Moroccan occupation. French christian-democrat Michel Dantin, the Committee's rapporteur on the file - the MEP tasked to thoroughly review the proposal on behalf of his Committee - had already presented his opinion on 9 October. That opinion was remarkable, as it listed everything that was wrong about the deal, yet concluded that it merited endorsement. And that is what a majority in AGRI did on Monday, 12 November 2018. Among other things, Dantin had pointed out "major competitiveness issues for European producers" and that "certain fruit and vegetable imports from Morocco and Western Sahara (tomatoes, cucumbers, melons, etc.) are a highly sensitive issue for the European horticultural sector". He called for immediate use of the safeguard clause provided for in the agreement to protect the EU's own farmers from market disruptions. Dantin lamented "that the Commission has been unable to provide reliable data on preferential imports of products from Western Sahara" and expressed he was "doubtful whether the Commission is able to assess the impact of the proposed agreement properly". Read a full list of MEP Dantin''s concerns here. His single argument for the proposal was that "this would provide a stable and unassailable framework for trade with a major partner of the EU". That is, however, far from certain. 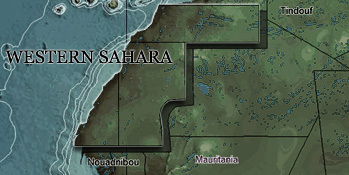 The representation of the people of Western Sahara, the Polisario Front, has already announced further legal action as they believe the basic requirement set out by the European Court of Justice (CJEU) - that the people of Western Sahara ought to consent to having an EU-Morocco agreement affect their territory - has not been met. The Court put forth the criterion of consent in its judgment of 21 December 2016, which concluded that no EU Trade or Association Agreement with Morocco can be applied to Western Sahara. "We would like to challenge the members of the AGRI committee to read the text they have just voted on, and then give at least one argument to defend this agreement", says Sara Eyckmans from Western Sahara Resource Watch. "Aside from the shaky legal basis of applying an EU-Morocco agreement to occupied Western Sahara, it seems that the MEPs in the Agriculture Committee care more about Morocco's national taboos than about the European farmers. While Morocco can ramp up unsustainable production in the territory, the people that fled the very area that now hosts the agro-industry are deprived from fresh produce in their refugee food basket - following cuts by the EU", Eyckmans told. From what WSRW understands, the members of the committee received the same kind of threatening letter from the Moroccan government that we reported on earlier this week. Austrian MEP Waitz called the Moroccan interference a "serious incident of undue pressure" and a "serious assault against the independence of my mandate". Concretely, Monday's vote was cast on two separate texts on the same proposal to amend the EU-Morocco Association Agreement so that it would allow for trade with occupied Western Sahara. The first text is the Opinion written by rapporteur Dantin: a short text, in which Dantin called on Parliament to consent to the deal, and a few paragraphs justifying that conclusion. The second text contains AGRI's input to the Motion for a Non-Legislative Resolution - a non-binding Resolution that allows Parliament to express its views on the proposal, and as such go beyond simply voting for or against. - On the suggested input to the Resolution: 23 in favour, 8 against, and 2 abstentions. - On the Rapporteur's Opinion to consent to the deal: 23 in favour, 10 against, and one abstention. A roll-call vote, indicating how each individual MEP voted, can be found here or further below.